The Market at Colonnade and its Innovative Stormwater Management Plan (ISMP) hit YouTube this week with a splash! Prepared by the City of Raleigh’s Office of Sustainability the video intends to provide the public insight into sustainable projects in Raleigh. The video is the first of many such informational pieces scheduled to hit the web this year. To learn more about the Market at Colonnade’s ISMP contact Patrick Smith, P.E., LEED® AP at psmith@sandec.com. MARKET AT COLONNADE RECEIVES TRIANGLE C.R.E.W. CHAMPION AWARD! The Market at Colonnade and its Innovative Stormwater Management Plan (ISMP) was recently recognized by the the Triangle Commercial Real Estate Women (Triangle CREW) as a Champion Award Winner for Best Land Use Solution. The project was also recently recognized by the Greater Triangle Stewardship Development Awards Program for its innovative and precedent setting approach to stormwater management. The award for Exemplary Water Quality Protection comes on the heels of the development receiving LEED® Silver Core and Shell Version 2.0 Certification on both retail buildings. 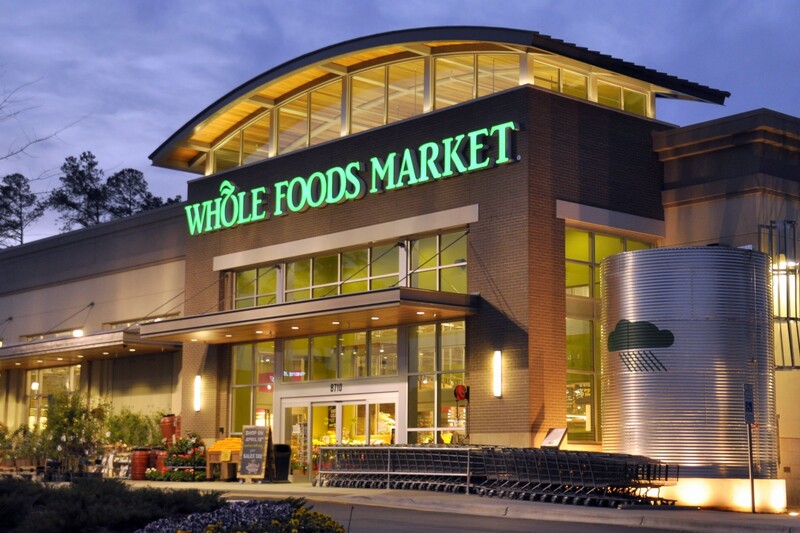 The project’s anchor store, the Whole Foods Market recently received LEED® Gold for Commercial Interiors Certification. To learn more about the Market at Colonnade’s ISMP contact Patrick Smith, P.E., LEED® AP at psmith@sandec.com.